There can be few experiences on earth more satisfying than listening to the roar of a distant lion as the sun rises on an African morning. South Africa has long been regarded as one of the world’s great safari destinations. The diversity of landscapes, from jungly swamps to searing semi-deserts, is without equal and the wealth of wildlife simply extraordinary. In South Africa you can watch lions hunt, elephants trumpet, flamingos turn a blue lake pink, whales breach, penguins waddle and rhinos plod through the woodland like great prehistoric beasts. In South Africa there are infinite ways to enjoy this wildlife and the soul-stirring landscapes they live within. You can walk with highly trained guides in the bush searching for the tiny creatures that keep the ecosystem ticking. You can paddle kayaks down lilly-fringed waterways in search of hippos. You can sit quietly in a bird hide waiting for a colorful ball of feathers to reveal itself. You can ride mountain bikes over savannah plains or learn from experts about conservation in South Africa today. And, of course, you can climb into a jeep and set out on a pulse-racing safari in search of the legendary Big Five. 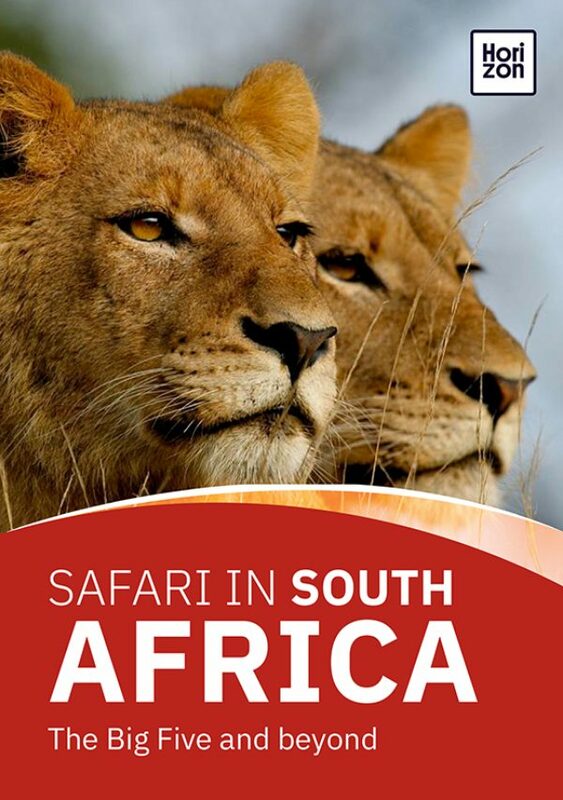 In the following pages we introduce you to some of South Africa’s best national parks and reserves, and show you how to create your perfect South African safari. Saddle up for the ride, this is the thrill of a lifetime! So you're ready to go, but do you know where to go? See the following recommendations for South Africa's best best game parks and private reserves. This 65,000 hectare reserve is, in many respects, the finest chunk of wildlife-filled wilderness in southern Africa and is prime Big Five territory. A state-run reserve with an air of tranquillity that is obviously appreciated by the wildlife. Most of the Big Five are easily seen, with rhinos a real speciality. The reserves here are more compact than elsewhere, but what they lack in scale they make up for in abundance of wildlife -- including all the Big Five. Timbavati is known for its high-quality guides, a wide range of safari activities, superb lodges, and a rare population of white lions. Its proximity to Johannesburg and highly developed facilities make this a convenient (if busy) safari destination. But the Big Five are here, and the park is especially good for rhino and elephant. With soaring hills and mountains that are home to 350 species of birds, including an abundance of raptors and a colony of the southern bald ibis, Hluhluwe – iMfolozi National Park is a birding paradise. Kruger, South Africa’s safari heavyweight, is home to much more than big game and its varied habitats support more than 500 bird species. Welgevonden is home to the world’s largest colony of Cape vultures, along with the African harrier hawk, jackal buzzard, several eagle species, and more. Kariega’s tidal estuaries and coastal habitats are home to over 600 species of birds including the African crowned eagle, kingfisher, crowned hornbill, and Cape longclaw. Madikwe is a great mid-range reserve that offers some of the benefits of a private reserve without the price tag. There are no self-drive safaris allowed here, so photographers will get the undisturbed wildlife all to themselves. Contained within the Waterberg Biosphere Reserve, Welgevonden has space, solitude and abundant wildlife - almost purpose-made for wildlife photography. Pumba has all the Big Five as well cheetah, hippo, 300-odd bird species and a population of rare white lions. One of the great parks of Africa, Kruger and the surrounding private reserves are home to all of southern Africa’s iconic mammal species and many of the private reserves offer top quality specialised photo safaris. With unfenced reserves adjacent to Kruger, the wildlife slips effortlessly around the ecosystem while world-class wildlife guides ensure that you’re always in the right place at the right time. No self-drive safaris are allowed here, so game drives get the entire place to themselves. With the complete Big Five collection, plus plenty of bird life and populations of wild dogs and the unusual brown hyena, Madikwe is an undisputed chart-topper. High-end Phinda is one of the very best places for a short safari and you’re almost guaranteed to see all the flagship animals, plus the lightning-fast cheetah. This magical private reserve borders the main Kruger park and, with no fences to block access, Timbavati is home to all the main mammal and bird species that Kruger is famed for. Unlike many nominal ‘child friendly’ reserves, Madikwe makes a concerted effort to provide specifically family-oriented facilities and activities, ranging from kids’ clubs and toddler care to specially trained guides to bring the safari experience alive for all ages. Waterberg offers malaria-free game viewing within easy driving distance of Johannesburg -- perfect for families who don’t want the hassle of flying to Kruger, or the drive to Madikwe. Nearly all lodges and resorts in Pilanesberg National Park welcome children -- but some have gone above and beyond to cater specifically for family groups with kids of all ages.